As it was my birthday (I am now officially old), my good friend, Olivia, asked if she could take me to dinner at one of Gordon Ramsay's Michelin star awarded restaurant, Maze. Er....hell yeah?! Based in Grosvenor Square, a hop, skip and a jump away from Bond Street station, we arrived. 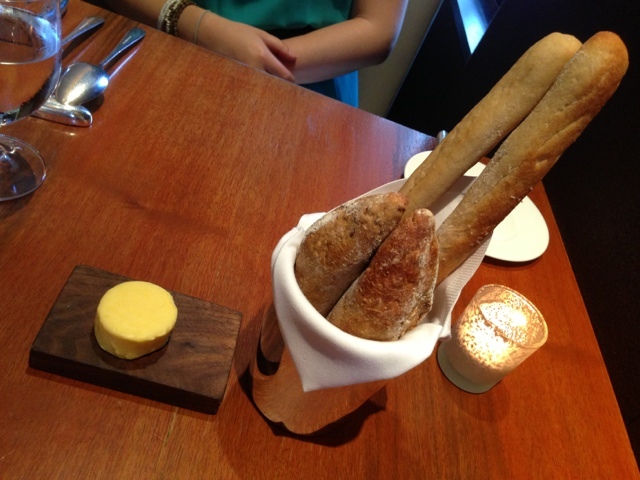 Greeted by the very polite staff, we were soon ushered to our table. 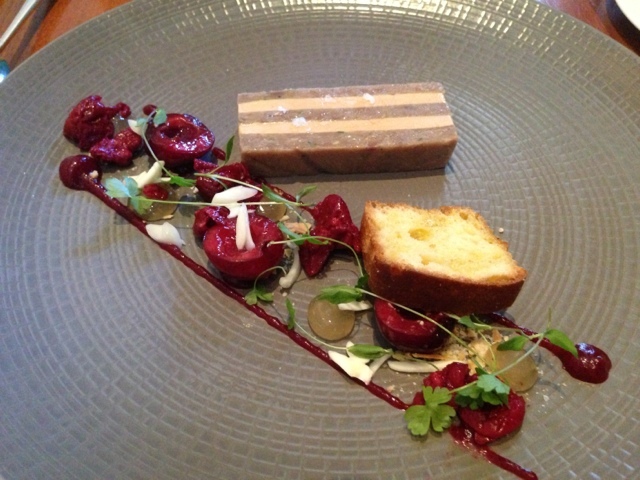 The first course arrived promptly, duck and foie gras terrine, cherries, wet almonds, Sauternes gel. Now, here is where the extra bread came in handy. 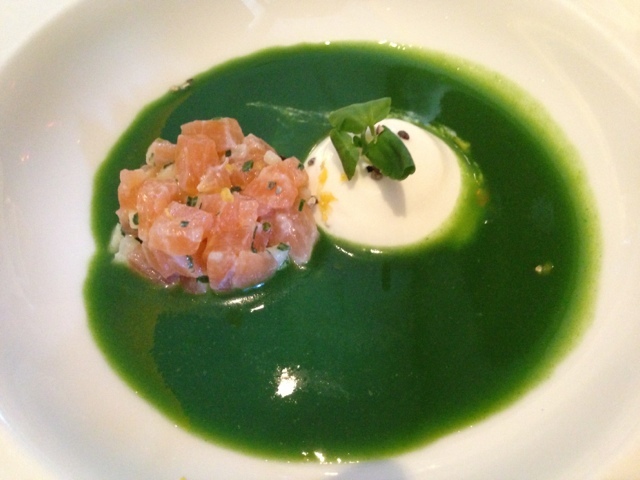 Next up, a bizarre looking creation - the miso cured salmon, chilled watercress soup with the lemon yoghurt. A bit scary looking I agree, but delicious. 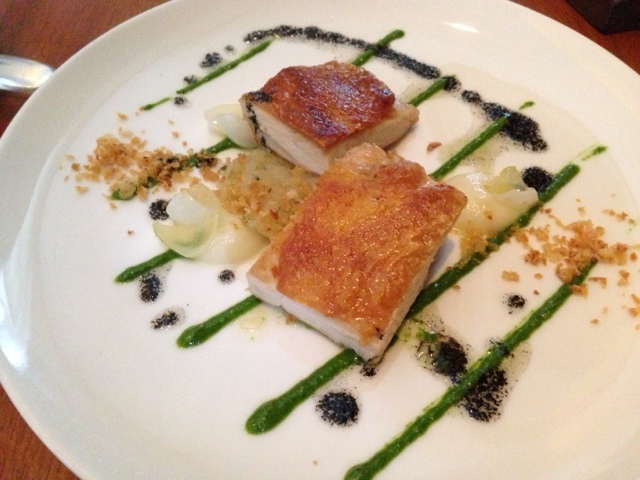 Mm, the crispy chicken thigh with charred baby gem, turnip and lettuce mayonnaise. 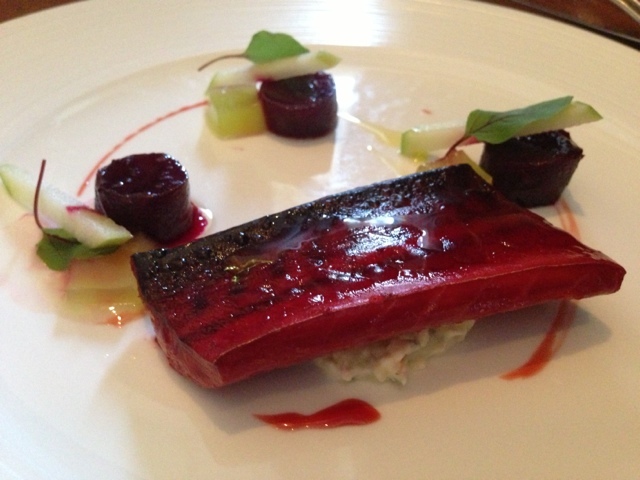 Almost half way through, we were presented with beetroot soused mackerel, which, was probably my least preferred dish. 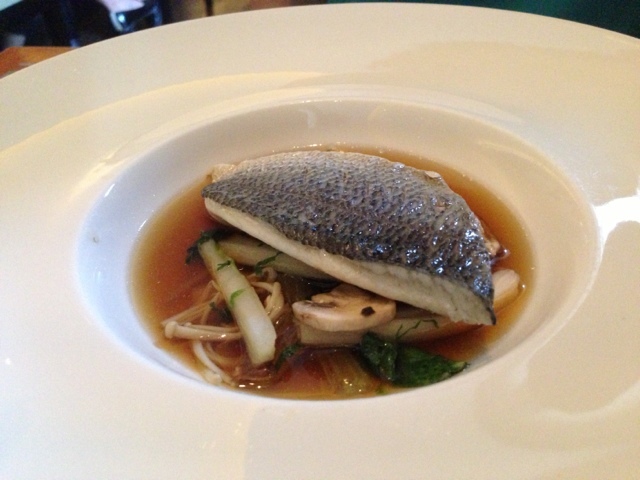 Ah, the steamed grey mullet with lemongrass broth. Asian influence at it's best. 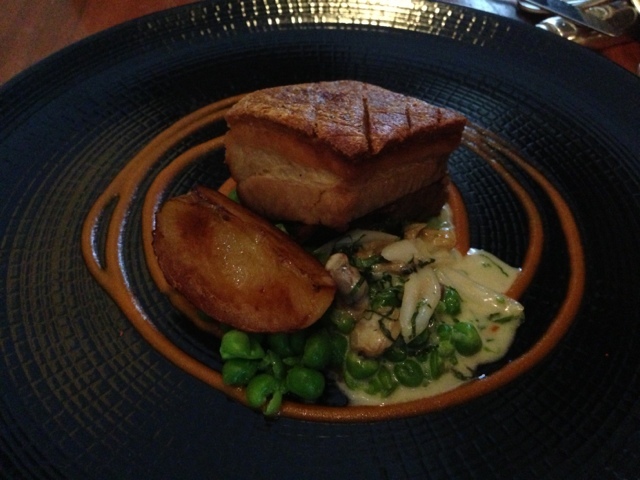 The pork belly. with razor clams, crushed peas and lobster and sake dressing. The crackling was to die for. 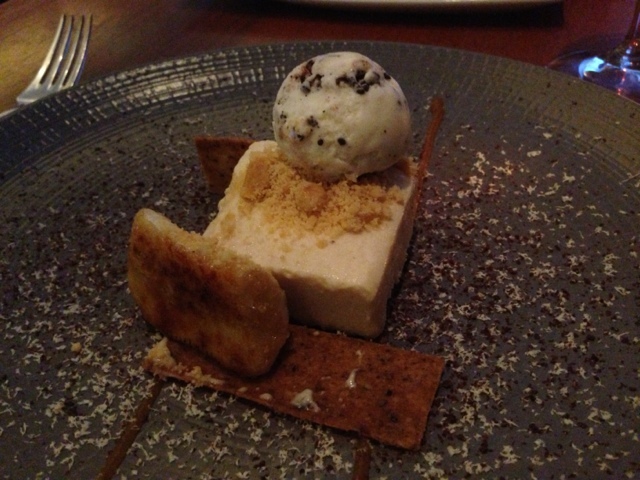 Ah, the desserts - Yuzu (an asian citrus fruit) tea cake with mango and lime jam, with lemon grass ice cream. A work of art, almost? 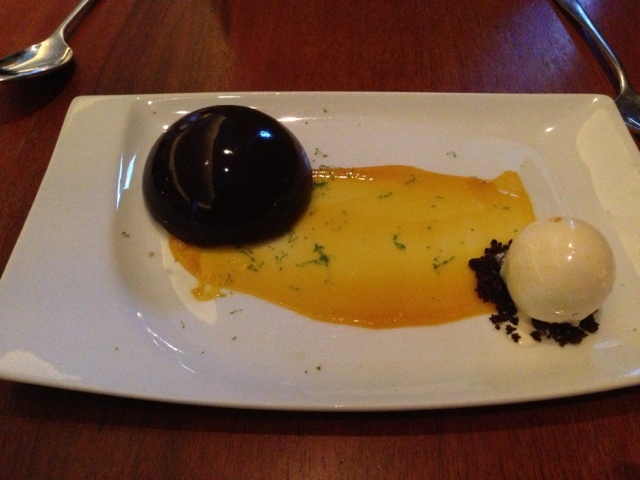 The yuzu tea cake had a dark chocolate coating, whilst the inside was a soft yuzu-flavoured mousse. And just when we couldn't take anymore and thought we were done... we were presented with the petit fours. 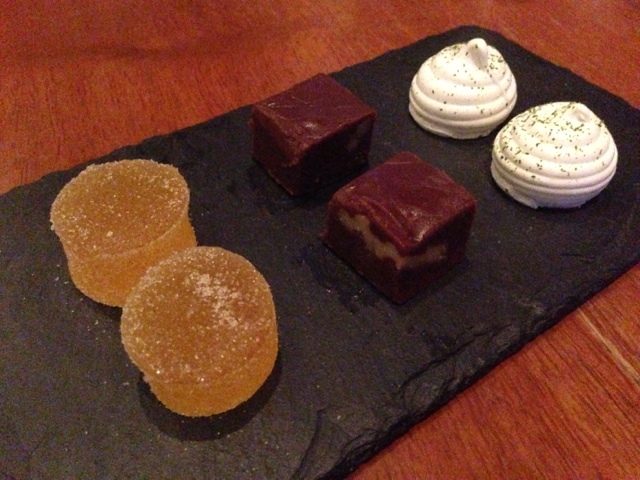 Mini meringues, chocolate fudge, and a large fruit pastille jelly were offered. Best one was the chocolate, by far. p.s. Outfit shot for the night? Any excuse to dress up! Fond memories! You forgot to mention the wine list on the iPad!